Cladding is a welding procedure that puts weld metal on the surface of the work, as opposed to joining two pieces of material. Generally this is used for corrosion resistance or wear resistance and frequently a different aterial is used for the clad than for the base metal. Weld Overlay Cladding at Namdaran Petrogas Ind. Co (NPI), we have invested heavily in weld overlay cladding capabilities to provide our customers with the full turnkey package. 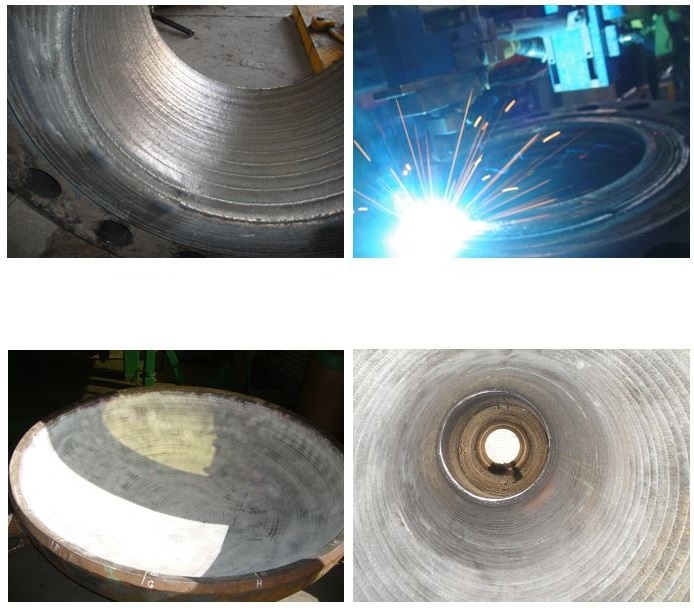 Namdaran has the weld technology to clad of vessels, head, flange, Fitting, Roller and etc. with Inconel 625/825, Monel, Cobalt estellite 6, stainless steels 304L/316L, CuNi 70/30, NiCu7 and many other. Namdaran Petrogas Industries is a leading provider of technologically advanced maintenance, repair and overhaul services. With a long track record of enhancing safety, reducing risk and improving plant productivity and performance, NPI Specialty Welding has delivered planned and emergency response solutions to a wide range of facilities around the word. Namdaran Petrogas Industries Oil & Gas provides a full turnkey package in corrosion resistant, weld overlay solutions. Weld overlay is ideal for products that will be exposed to hostile environments pipes, valves, forged fittings, pressure vessel, heat exchanger and other specialist fabrications all benefit from Weld Overlay. We work with our customers to develop a value-added solution that is cost effective and achieves quick and efficient turnaround.